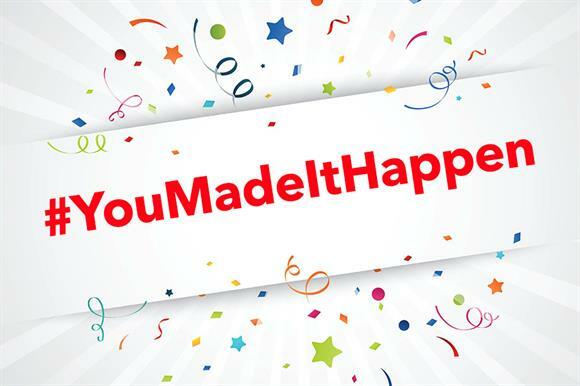 A group of leading voluntary sector organisations is encouraging charities to adopt the hashtag #YouMadeItHappen on 19 November. The National Council for Voluntary Organisations came up with the idea, which is being supported by the Institute of Fundraising, Acevo, the Small Charities Coalition, CharityComms and the Foundation for Social Improvement. These groups will promote the initiative among their members in the run-up to the day. "We want to show people the collective impact of charities and give charities the opportunity to thank their supporters," said Aidan Warner, senior external relations officer at the NCVO. Warner said focus groups had highlighted how much supporters liked to be thanked and the initiative would give charities the opportunity to do this. Charities supporting the initiative are being encouraged to post short social media messages on 19 November alongside the hashtag. The NCVO newsletter, sent to its 13,900 members, includes the following example: "Thanks to your support, we replanted 200 acres of forest last year. #YouMadeItHappen". It is hoped that the timing of the event, which takes place in the week before Giving Tuesday, will also stimulate donations.